The much-ballyhooed facility was heralded by U.S. President Donald Trump and Wisconsin's then-governor Scott Walker as a once-in-a-generation opportunity to return manufacturing to the Midwest and the United States. Foxconn, a major supplier to Apple, is believed to be the world's largest contract maker of electronics and China's largest private employer. Woo said it would be more profitable to make LCD panels in greater China and Japan, ship them to Mexico for final assembly, and import the finished product to the United States. He said that would represent a supply chain that fits with Foxconn's current "fluid, good business model." 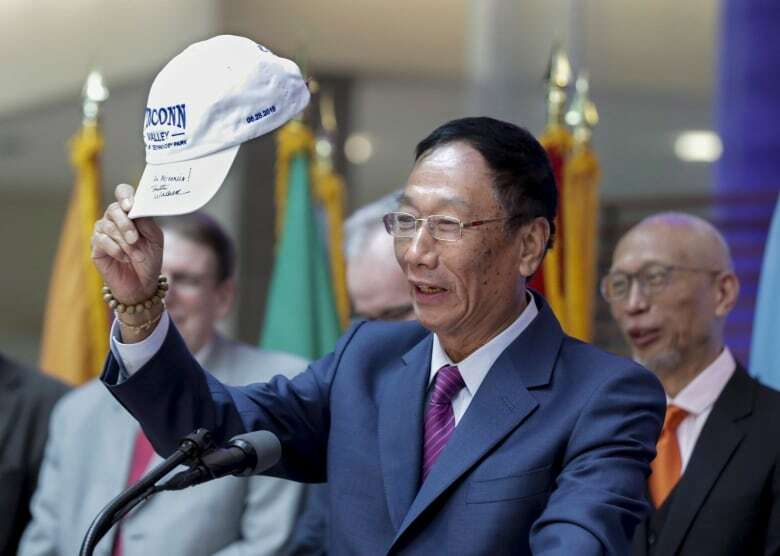 Instead, Woo said, Foxconn wants to create a "technology hub" that would largely consist of research facilities along with packaging and assembly operations. Woo said about three-quarters of the jobs created will be in research and development and design, rather than blue-collar manufacturing jobs. That raises the prospect, given Wisconsin's labour force demographics, that many qualified engineers and other tech professionals would have to be recruited from out of state. 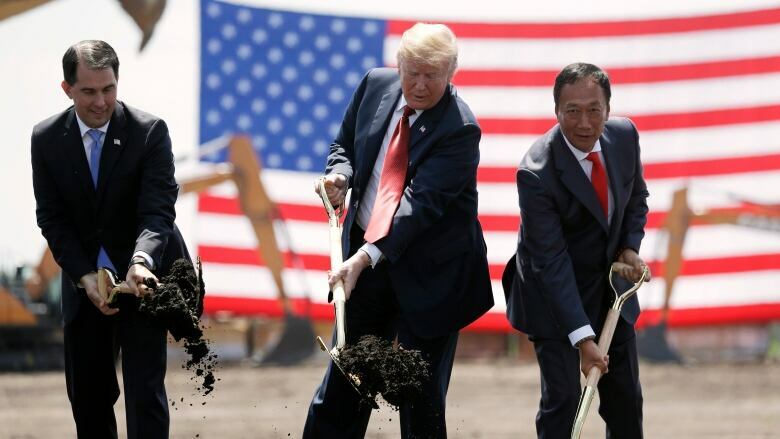 Foxconn said in its statement that it was broadening its base of investment in Wisconsin to ensure the company and workforce will be positioned for long-term success. That includes focusing on research and development in advanced industrial internet technologies and producing high-tech applications and solutions for industries such as education, medical and health care, entertainment and sports, security and smart cities, Foxconn said. The Taiwan-based company billed the massive 1.86-million-square-metre Wisconsin campus as its first North American manufacturing site for the next generation of liquid crystal display panels to be used in a wide variety of products, including large-screen TVs, self-driving cars, notebooks and other monitors. A spokesperson for Wisconsin Gov. Tony Evers, a Democrat who was critical of Foxconn in the campaign against Walker, did not immediately return a message seeking comment. A spokesman for the Wisconsin Economic Development Corporation, which brokered the deal with Foxconn, also did not immediately return a message. "America is open for business more than it has ever been open for business. Made in the USA: It's all happening and it's happening very, very quickly," Trump said in June after visiting the Foxconn site. "Today we're seeing the results of the pro-America agenda. America First, Make America Great Again. Greatest phrase ever used in politics, I suspect." "Foxconn has broken its promises in Pennsylvania, Brazil, China, and now Wisconsin. Everywhere they've gone, they have exploited taxpayers to line their pockets," Democratic state legislator Jimmy Anderson said on Twitter on Wednesday. Anderson's social media post was retweeted by Mark Pocan, a Democratic congressman representing Wisconsin on Capitol Hill in Washington. Gordon Hintz, Democratic Wisconsin Assembly minority leader, said in a statement that revised Foxconn plans were "devastating for the taxpayers of Wisconsin." "Every step of the way Foxconn has overpromised and under-delivered," said Hintz. "And now, it appears Foxconn is living up to their failed track record in the U.S. — leaving another state and community high and dry." Wisconsin Republican legislative leaders who pushed the Foxconn project said they blamed the state's new Democratic governor for Foxconn's changing plans. Assembly Speaker Robin Vos and Senate Majority Leader Scott Fitzgerald said Foxconn was reacting to a "wave of economic uncertainty" that Evers has brought. Republicans also cited Evers's support for all-but eliminating a manufacturing tax credit program to pay for a middle-class income tax cut. Evers's top aide Joel Brennan said in a statement that the administration was "surprised" by the news and talked with Foxconn leaders about the development. He did not address the Republican accusations that Evers was to blame. Did Donald Trump just create 8,000 jobs?